I am watching this game with interest both for the fascinating world that inspired it and some fun mechanics in the game. Players assume the role of noble houses under the reign of “The Lord Ruler,” an immortal tyrant. The noble houses wage a shadowy war of intrigue and deception to curry favor with The Lord Ruler. Along the way they must solve societal issues to maintain the status quo. 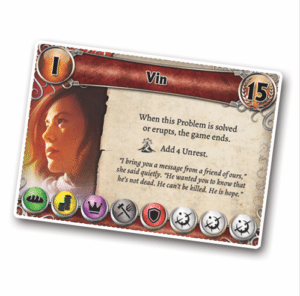 The icons at the card’s bottom are the resources needed to complete the card. The houses are free to cut deal, backstab and otherwise do anything it take to get the job done. Success means favor with The Lord Ruler. Should they fail, the unrest count increases and there may be a peasant uprising. Very bad for the status quo and worse for the unloved nobility. However, if you are short on favor with the Ruler, you can throw your lot in with the peasantry and work against the other houses and let the peasant uprising thrive. Of course you do not need to tell anyone you are doing this…. I got in a quick round at the booth, but very much looking forward to playing this game when it comes out early next year. 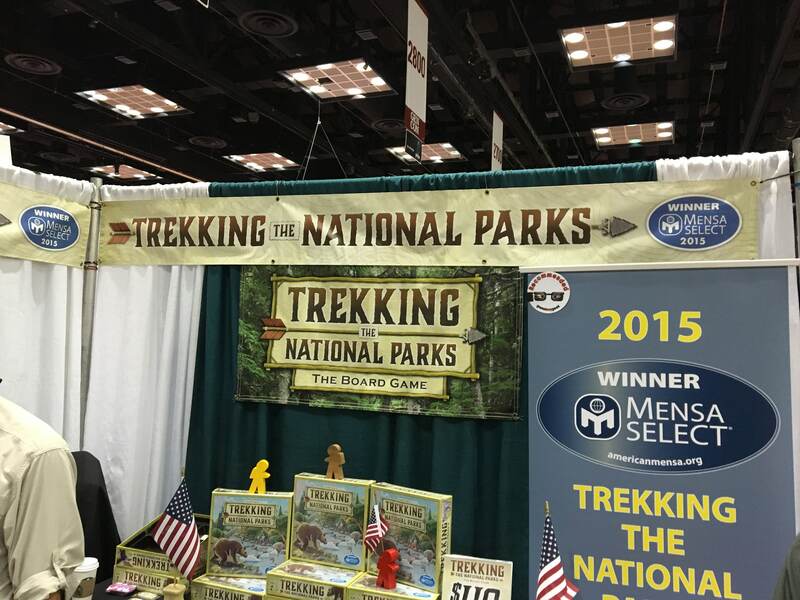 Clearly the most talked about game before Gen Con 2016, this is as close as I got to playing the game. 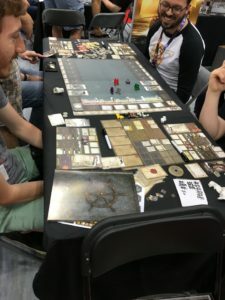 “Seafall” sold out in nanoseconds on Thursday when the exhibit hall opened. 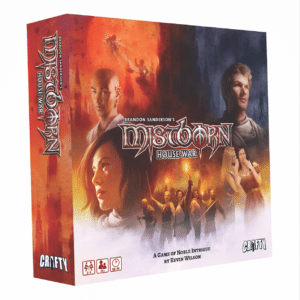 I will report more on this game…if I ever get to play it. Wyrmwood creates game accessories ( dice towers, dice trays, deck boxes) from a variety of fine woods and their craftsmanship is impressive. That said, they had an early version of their new product line; wooden GM screens. 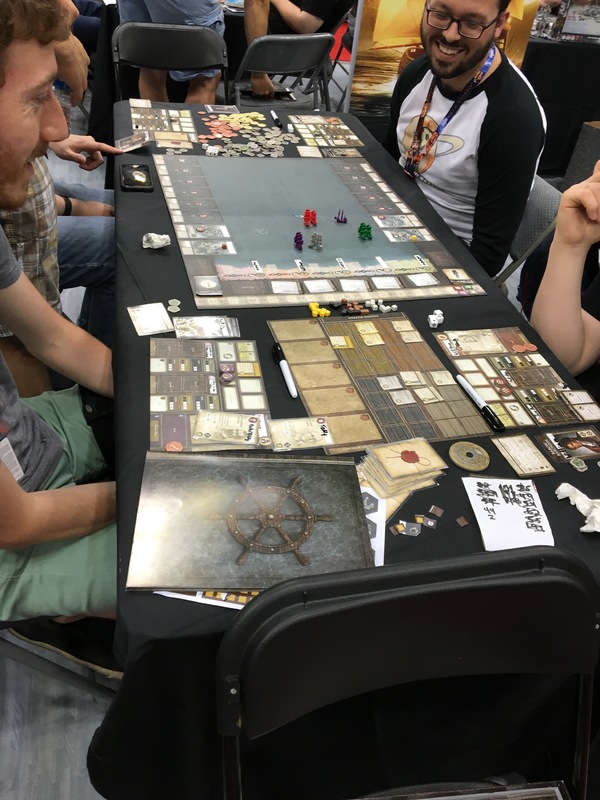 The center piece rotates on the horizontal axis and has a plastic sheet covering both sides so you can mark it up and then flip it around to display to your players whatever nightmare you dreamed up. Or just a map. Your call. Most interesting to me is the modular design. Each panel, drawer set and dice tower is sold separately and connects to the others with neodymium magnets. It is not on their website yet and I, of course, failed to get a picture of the price list. I will reach out to Wyrmwood and add it to the post. Here is the pricing on the Wyrmwood screens. 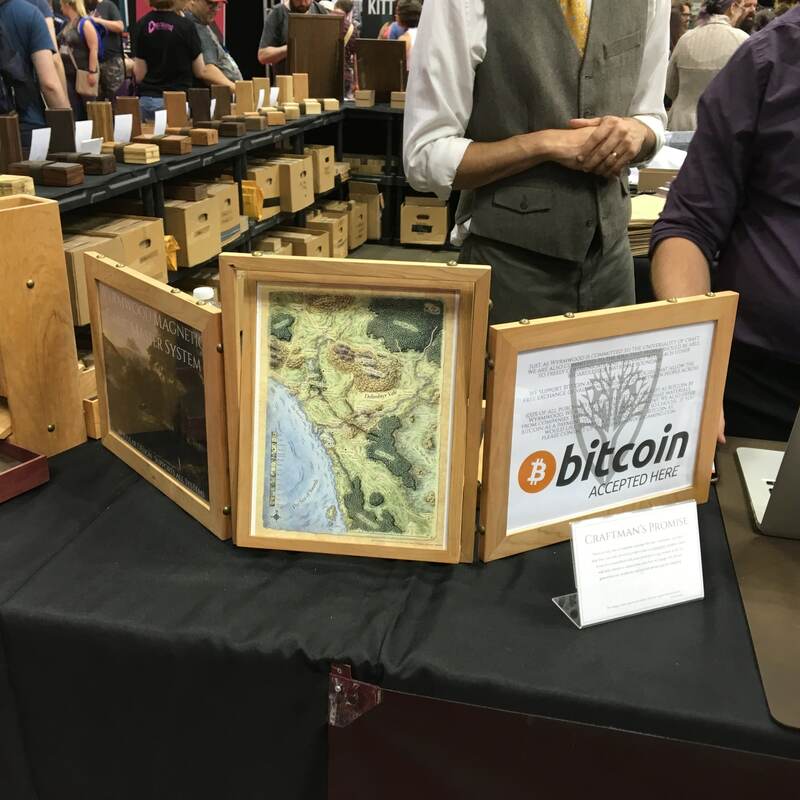 If you would like to order, you should contact custom@wyrmwoodgaming.com. I am a reasonably competent hiker, so this game caught my eye. 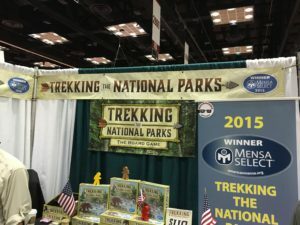 Strongly in the family/educational board game category, this has high production values, simple to play and enough strategy to keep adults and children interested. Fun! 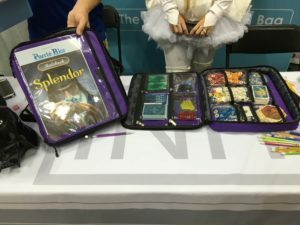 Initgear produces a line of binder-like zippered cases to contain all the tiny, often lost bits of your various board games. 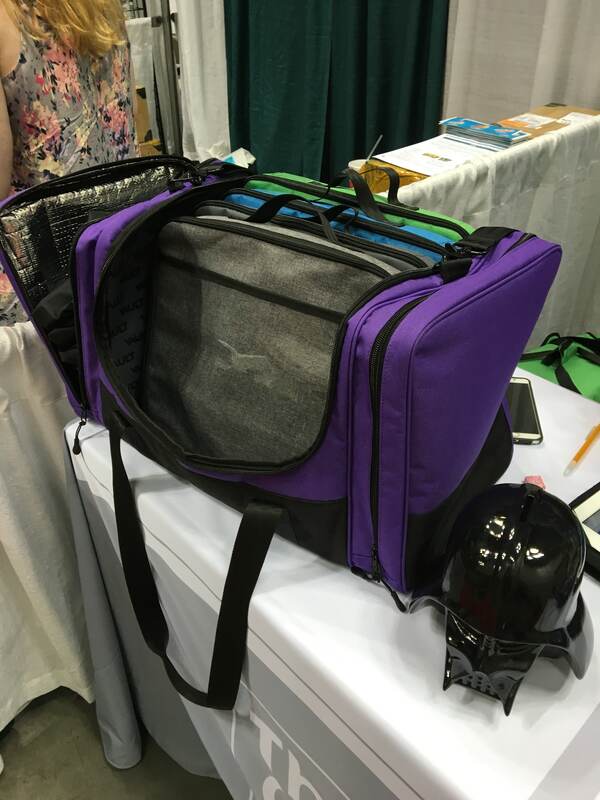 It is an elegant solution to traveling with board games or even packing them to your local game store. Here is a shot of a single binder, fully loaded with a game. Initgear also sells additional small bags in case you would like extra sorting options. They also offered a larger carrying case for multiple games. These were recently Kickstarted, so the linked website only has pre-orders with an expected ship date of December, 2016. Given my propensity to lose game parts, these are of interest to me. 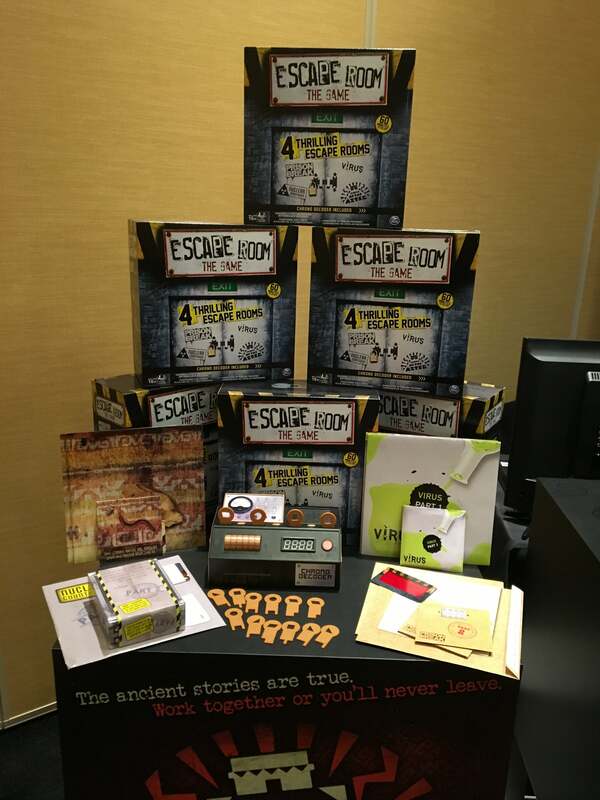 The game uses a series of sealed envelopes with a unique set of puzzles that the players must solve in 60 minutes or be forever trapped in the room. Lost for all time…er…they lose the game. Sorry got a bit excited. 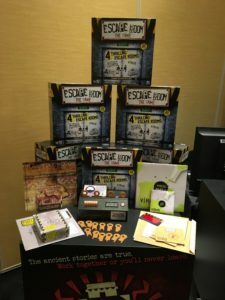 I played the full-scale version, which was a large jail cell (basically two 10×10 foot rooms) covered in random scribbles and odd bits of junk. You had to interpret the scribbles and detritus, solve the puzzles and use them to get a combination for the door locks. I will not spoil the puzzles, but they were challenging. As for my group, we did not seem to be making progress as fast as I would have liked. I worried we would be trapped, so I did the only thing a self-respecting gamer could do. I have a lock-picking hobby and the combination lock was one I knew how to get past. So when we started running short on time and had only two or three of the four numbers I pulled the shackle and felt for the “click” when I rolled onto the correct number. Not exactly “MacGyver,” but it got the job done. We cleared the next room and defeated the puzzles. I also got a snazzy orange prison jumpsuit for Halloween this year too! Special thanks to Spin Master for inviting me! 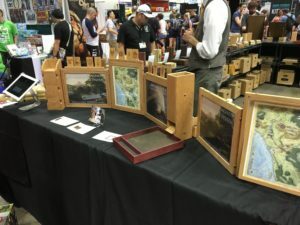 This is the last post in the Gen Con 2016 exhibitor overview series. I have some additional posts to write, but they are review posts regarding specific products I purchased.